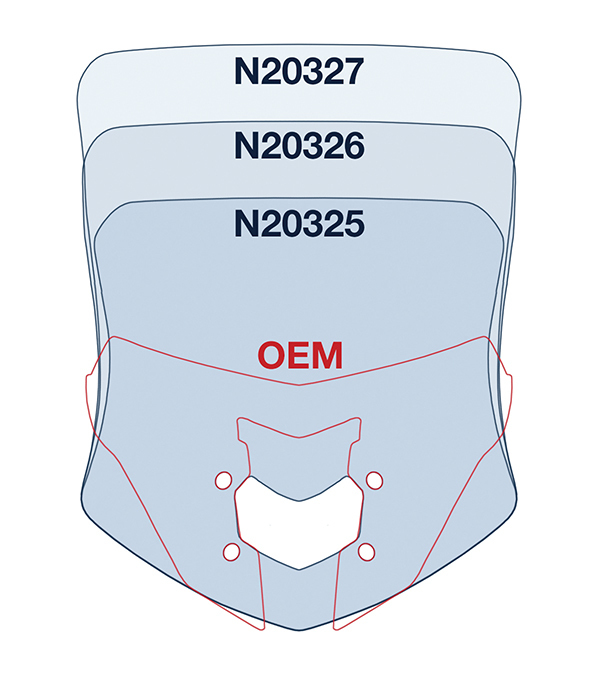 Maywood, Illinois-based manufacturer National Cycle now has VStream Windscreens in tough 4.5 mm Quantum hardcoated polycarbonate for the updated 2017 to current Yamaha FZ-10/MT-10. This high-quality material, along with state-of-the-art manufacturing techniques, provides "outstanding clarity, impact strength and scratch resistance unmatched by any windscreen maker worldwide". These new windscreens are available in three heights - Sport in dark tint, Sport-Touring in light tint, and Touring in clear. "This means there is a perfectly sized windscreen for almost every rider. 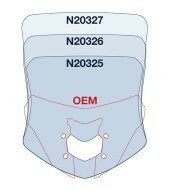 All will offer improved wind protection and riding comfort compared to OEM or other aftermarket windscreens". VStream's patented, advanced "V" profile helps push wind out and away from the rider's helmet, "resulting in a calmer, quieter riding environment". All polycarbonate windscreens from National Cycle are protected by a three-year warranty against breakage. Also seen here in 4.5 mm Quantum hardcoated polycarbonate are VStream+ designs in three different sizes and tints for the '17-'18 Yamaha MT-07. The "+" indicates the addition of a highly engineered mounting bracket made specifically for this model. 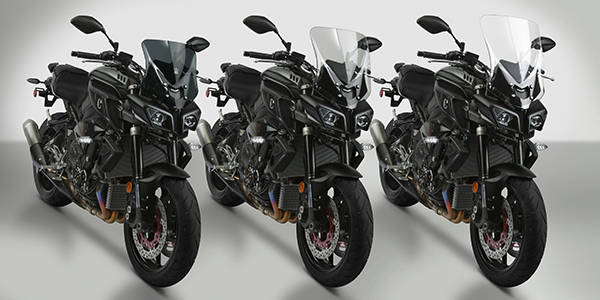 Other recent additions to the VStream line include model-specific designs in a choice of heights and tints for the '17-'18 BMW G310GS, 2018 Honda Gold Wing, '17-'18 Kawasaki Z1000SX Ninja, 2018 Kawasaki H2 SX, and the '17-'18 Yamaha FZ-09. 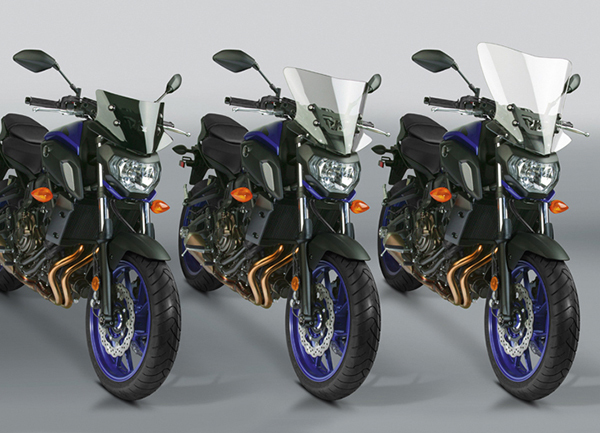 All are said to offer improved excellent protection and riding comfort compared to other aftermarket windscreens - "they're the perfect match for this combination of urban commuter/streetfighter". National Cycle is an international supplier with a long-established distribution network, making National Cycle/ZTechnik products easy to source.